Heard of cross-training? Well this is cross-advertising. Don’t rely on just one way for your potential racers to hear about your event. 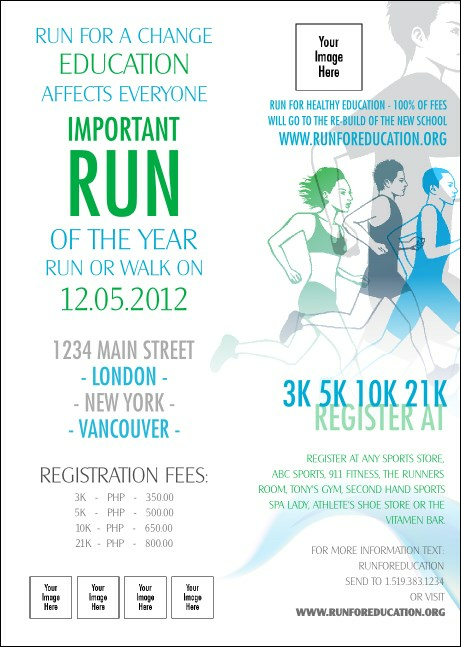 Make sure they get the message first-hand when you send them Run for a Cause Club Flyers. Each Club Flyer has room to upload five unique images to go with determined runners in nice shades of blue and green.